Steamed Open is an upbeat cozy mystery that will have you yearning for warm days and sandy beaches with a cool drink nearby.
. . . it was pure delight to read Barbara Ross’ STEAMED OPEN, with its likable characters (and a few not so, of course), a murder with far too many possible suspects, beautiful antique homes, and of course, Clambakes. 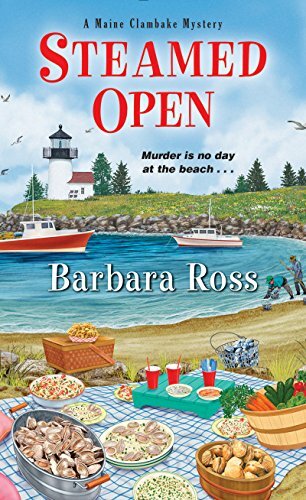 This is an extremely well written cozy mystery that will draw you in so well that you will wish you could go on the clambake too since it sounds so yummy as well as fun. Absolutely perfect for fans of the genre. To read reviews,interviews,guest post and get free recipes click here.